The growth of supply associated with the removal of restrictions on the import of Turkish products record imports of Ecuadorian bananas and establishment of relations with export countries such as China, Egypt, Azerbaijan and Moldova. "It is necessary to note the significant impact a relatively stable exchange rate of the Russian ruble against major world currencies in the past year. With less risk of sharp rise in price of products during transportation, many importers of fruit and vegetables could again expand their business. An important role is also played by developed supply chains that importers and their foreign partners have built within three years after the sudden collapse of many business relationships in the industry in August 2014," - commented the General Director of IA "FruitNews" Irina Goat. Last year Russia became the second largest importer of bananas in the world, giving the first place to USA and ahead of Germany. In addition, there was a significant increase in the supply of mandarins, garlic, watermelon, celery and avocado. The most important export product of Turkey, in 2017 become mandarins. Only Russia imported 342 thousand tonnes of this fruit. Also on the Russian market were sent to Turkish grapes, lemons and oranges. It is noted that in 2017, the Turkey was sent to Russia about a third of the export volume of fruits and vegetables. Exports from Belarus to Russia was reduced to 540 thousand tons. In 2016 this figure was at 630 thousand tons, and in 2015 - to 1.1 million tons. The main products of Belarusian exports - pears, tomatoes, peaches, carrots, apples, cucumbers, strawberries and cabbage. 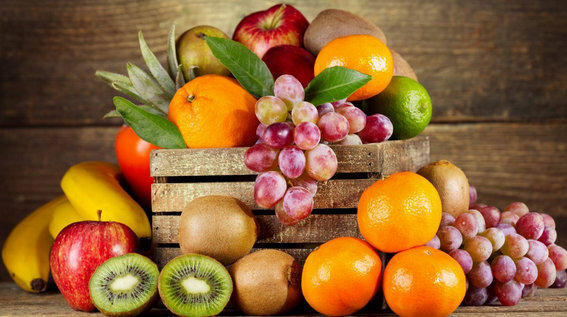 The third largest exporter of fresh fruit and vegetables to Russia is China. The most important position - tomatoes and apples. In addition, exported onion, Mandarin oranges, cabbage, grapefruit, bell pepper, carrot and pear. From Egypt, the Russian imports of oranges (more than 220 thousand tonnes), onion (more than 1 million tons), tangerines (30 thousand tons) and grapes (16 thousand tons). From Azerbaijan came mainly tomatoes (157 thousand tons), persimmon (102 thousand tonnes) and apples (70 thousand tons). Moldova send mostly apples (230 thousand tonnes), grapes (55 thousand tons) and plums (35 thousand tons). And from Morocco to Russia in 2017 received tangerines (210 thousand tons) and tomatoes (100 thousand tons).